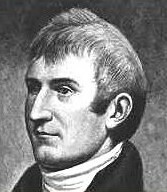 After serving as a captain in the United States Army, Meriwether Lewis became the personal secretary of President Thomas Jefferson in 1801. In 1802 Jefferson chose Lewis to lead an expedition to the Pacific Ocean. Along with joint commander William Clark, Lewis and his team of explorers broke camp near St. Louis in May 1804, reached the Pacific in late 1805, and returned to St. Louis in September 1806.